If there’s any message I would want to share today, it would be – “It’s good to be different”. Be silly, be crazy, but be you! This is exactly how I felt when I saw these Nani Firangi Glasses. 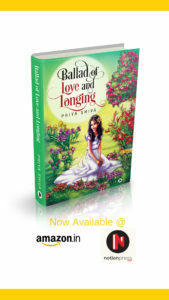 They are uniquely designed and you would surely want to show them off to your friends and family. 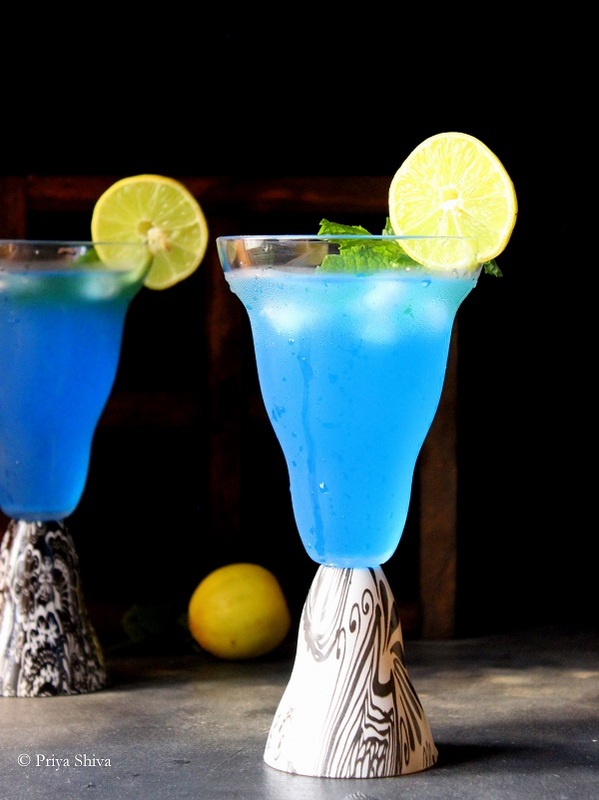 Here’s a refreshing Blue Lagoon Cocktail in these classy Nani Firangi Glass for your next cocktail party.. So, what are you waiting for? 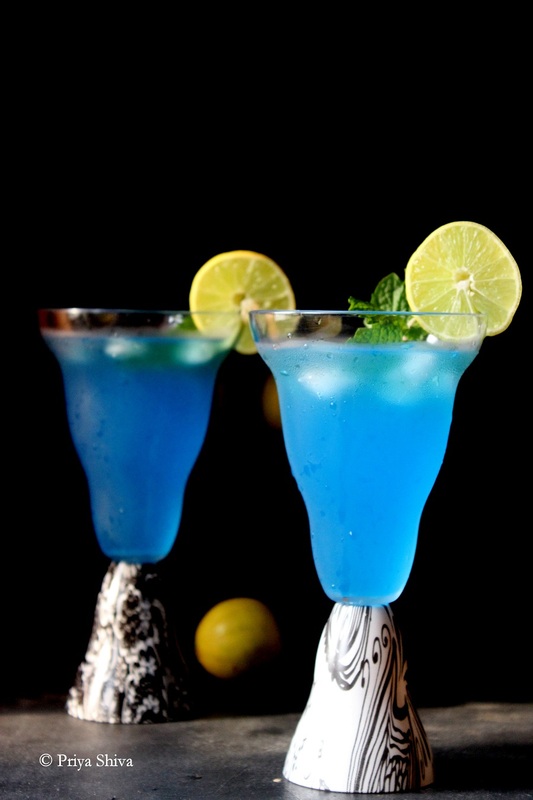 Click here to order your Firangi glasses now! 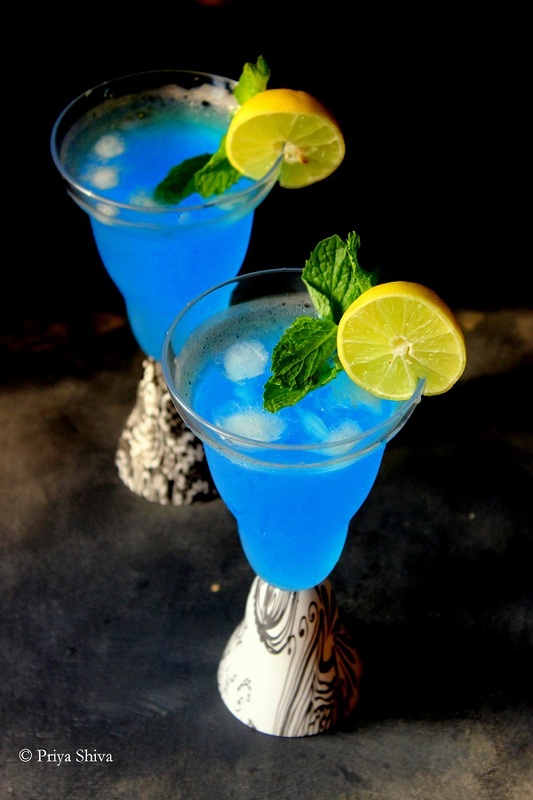 Add blue curacao, vodka, lemonade syrup with crushed ice in a cocktail shaker. 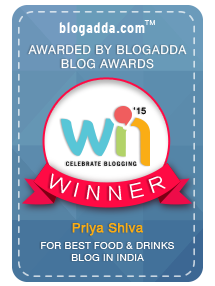 Pour in serving glass and garnish with lemon slices and mint leaves. To make lemonade syrup - Boil 1 cup lemon juice, 1 cup sugar and 1 cup water for few minutes till it thickens. Keep stirring so that sugar dissolves nicely. Let it cool down and store it. Those glasses are so much fun! 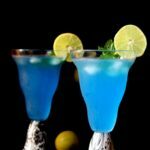 I love blue margaritas, and these look like a much simpler way to get a similar flavor. Yum! Those are unique glasses for sure…what a nice presentation. LOVE the colour of that drink. Reminds me of Hawaii and our honeymoon. Such a simple cocktail but so visually stunning. Great recipe! Ooh, what a fun cocktail. I love blue curacao and it looks gorgeous in that glass! That blue! Just wow! It’s hard to believe we can even get a drink to take on that gorgeous color! It’s like the ocean in a glass…only delicious LOL. I’ll be bookmarking these for the summer! Thanks for the recipe inspiration!